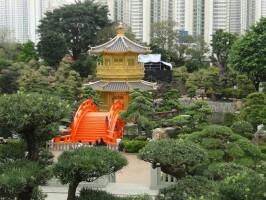 Discounted Hong Kong car hire. Compare & book lower cost MPV & SUV rental in Hong Kong and save today. 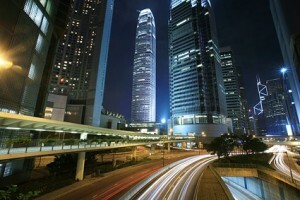 Book discounted rates for MPV, SUV and car hire at Hong Kong Airport, or collect from Kowloon. We also have 7 and 9 seater minibuses that can seat a group of people comfortably. Extras, like Sat Nav and extra drivers, are also readily available. We have discounted rates from Hawk on vehicles like the Altis, Vios or larger Alphard minivan. All rates include:- Collision Damage Excess, unlimited mileage, breakdown cover and all taxes, including road. Free cancellation possible up to usually 48 hours before and free booking changes at anytime can be done. Payment Terms - After paying the booking deposit through us, you have the option of pre-paying the balance to the supplier, just five days before collection. Airport - Hawk operate a Meet & Greet service and the the meet point will be advised on voucher, but flight number and mobile phone number will be needed. Hong Kong Dollars are used here. The exchange rate hovers around HKD12 to 1GBP (UK Pound). Typical tropical weather, so pick your season to go carefully. Hong Kong is off the southern coast of China. Mainly ethnic Chinese, with a smattering of people from other backgrounds. Long been famous for its exports that include clothing, textiles, footwear, electrical appliances, watches and clocks, toys, plastics, and precious stones. Hong Kong main export partners are: China, European Union, USA and Japan. The hustle and bustle of Hong Kong makes it a must for many a tourist. Shopping is one of the main attractions. Another is Disneyland. Hong Kong is not all skyscrapers and has many beaches to relax on. Silvermine Bay is top of most people's lists. Tai Mo Shan is the tallest point in Hong Kong, but Lantau Peak is the highest you can get to. Both are just under 1000 meters high. If planning on driving around Hong Kong, then start here. Hire at the airport or downtown, like Kowloon maybe? Vehicles range from estates, to larger SUV and MPV. One of the most well known lakes is Bride's Pool, with several waterfalls, as it is known as a stream pool. Finance is a major the bread and butter industry here. Hong Kong and the HKD are in the top ten financial lists. Was handed back to the Chinese in 1997, after many years of being a British colony. Famous people include Bruce Lee, the martial arts expert in "Enter the Dragon", died at age 32. Jackie Chan is still alive a kicking and a very popular movie star in Hong Kong and around the world. The Hong Kong Airport is also known as Chek LapKok Airport. The old airport was famous for you plane flying among buildings. 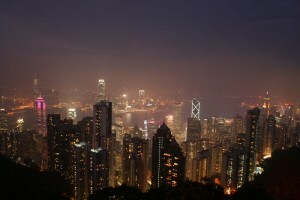 With Hong Kong being the city as well, then it is more about the islands. Kowloon is a popular one. Did You Know? - Chinese lucky numbers are 2, 3, 6, 8, and 9 (8 being the luckiest). Cantonese and English are the official languages. Almost all of the street signs and public transportation signs are also in English. Has been a hot spot recently for women from across the border giving birth. Horse racing entertains thousands of people. The Rugby Sevens is also a favourite. Table tennis, badminton and football as usual. Just over seven million people reside here.